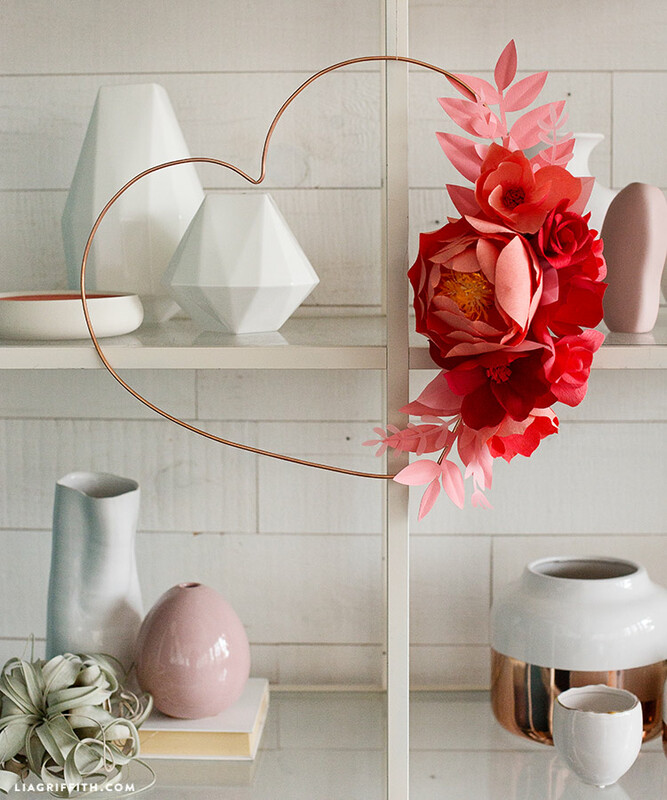 Similar to our DIY copper star wreath, this copper wire heart wreath is a lovely new wreath project that’s perfect for the Valentine’s season. 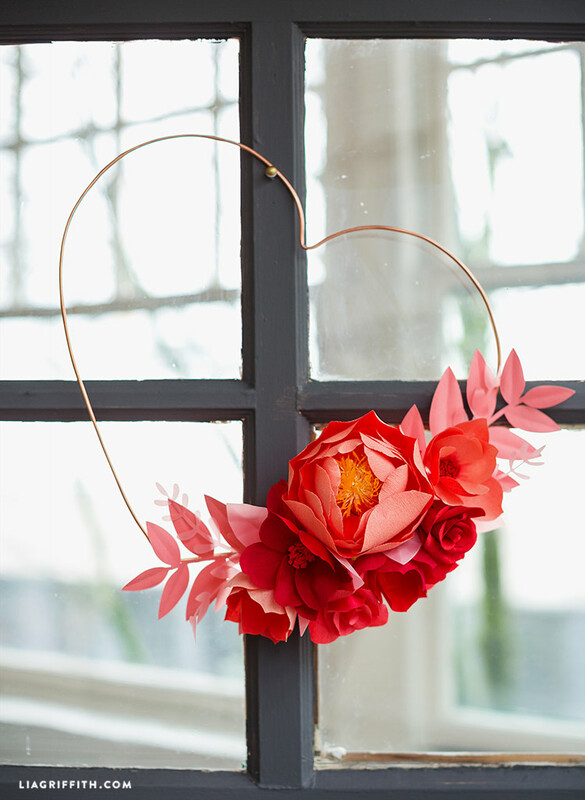 Featuring some of our favorite crepe paper flowers (a peony, a rose bud, and a cosmos), this wreath is ultra romantic. Gather the supplies listed below and get ready to fall in love with this project! Cut the heart template, bend the copper tubing into the heart shape. Cut off the extra tubing so the two ends meet up. Wrap the tubing with copper wire to hold the two ends together. Gather the flowers and newly made paper/vellum leaves to add to your heart. Arrange the flowers however you’d like and hold them together with the copper wire. Use hot glue to glue the leaves to the arrangement. 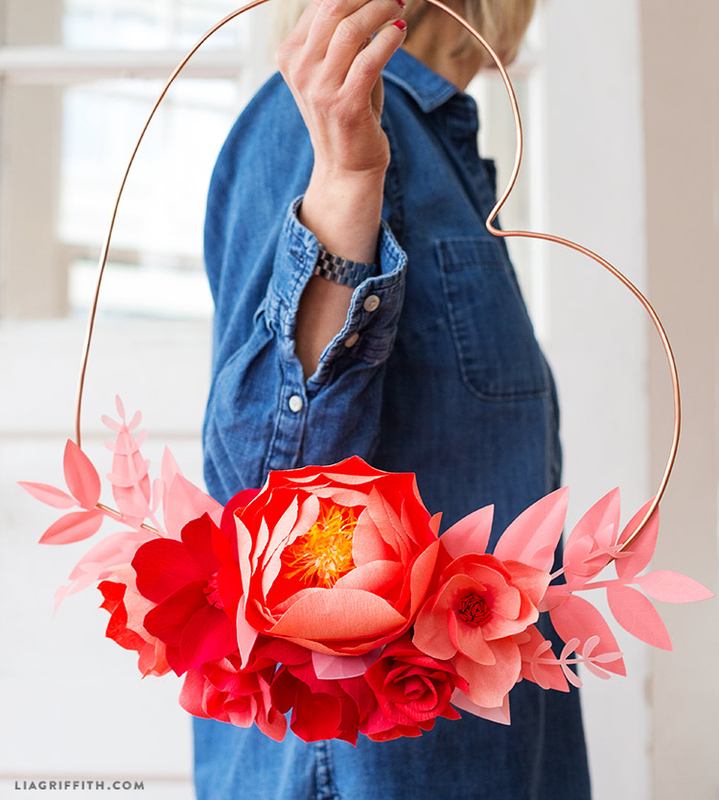 Attach the arrangement to the heart using the copper wire and hot glue. Show us what you’re crafting! Use #MadeWithLia and share photos of all of your latest work — you never fails to inspire us! I am a beginner at flowers, and I was wondering if this would be easy to make? Thanks! The wreath includes 3 different crepe flowers, so you might want to start with the crepe cosmos or rose bud to get a feel for working with crepe. You can also use any flower combination you like, so if you’re not up for the peony, our anemone is a nice beginner flower! Thanks! I was getting skeptical when I saw the peony. Thanks for the option! Can you make these flowers with card stock? Thanks in Advance!